Why Kalonzo Musyoka is greedy and called "watermelon"? His actions will not make him the president of Kenya forever. - Bana Kenya News, Real African Network Tubanane. Home Editorial Why Kalonzo Musyoka is greedy and called "watermelon"? His actions will not make him the president of Kenya forever. Why Kalonzo Musyoka is greedy and called "watermelon"? His actions will not make him the president of Kenya forever. Have you ever wondered why Kalonzo is called a "watermelon"? There so many reasons why the wiper leader is a watermelon and used by jubilee to divide NASA. The NASA coalition will remain undecided because of what the Wiper members instructed and determined to do. The Major reasons why the Wiper Leader will fulfil the "Watermelon" character in the NASA includes; Greedy of power, Deceived by Ukambani leaders, Meeting with Mama Ngina and Betrayed by massive crowds in Rallies. The wiper leader will make the current president continue to serve his second reign(term) when Kalonzo Jumps out of NASA coalition. The vote difference between NASA and Jubilee from their strongholds is only 700,000 votes. Because the Wiper leader is greedy for power and the Ukambani leaders deceive him because of the support from Ukambani he now has. One region support will make the wiper leader go nowhere. 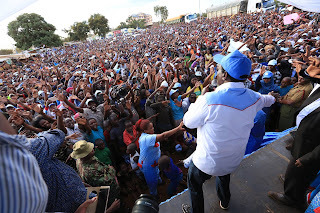 When Kalonzo disses NASA and stand up as an individual aspirant with Kalonzo as President and maybe Omar Hassan the deputy president will mark the End of Kalonzo in Politics because none of the big politicians will trust him in 2022 or 2027. The Ukambani wiper leaders have been secret meetings day and night which make the wiper leader feel like getting everything in the August polls. The leaders forget that in that region there are votes for Jubilee, ChapChap and TipTip. Those votes when added they make a quarter of Eastern region Votes. Wiper part has been gaining momentum across the country but that does not determine its candidates will be elected in the august polls. The massive crowds he sees in rallies do not transfer to votes. 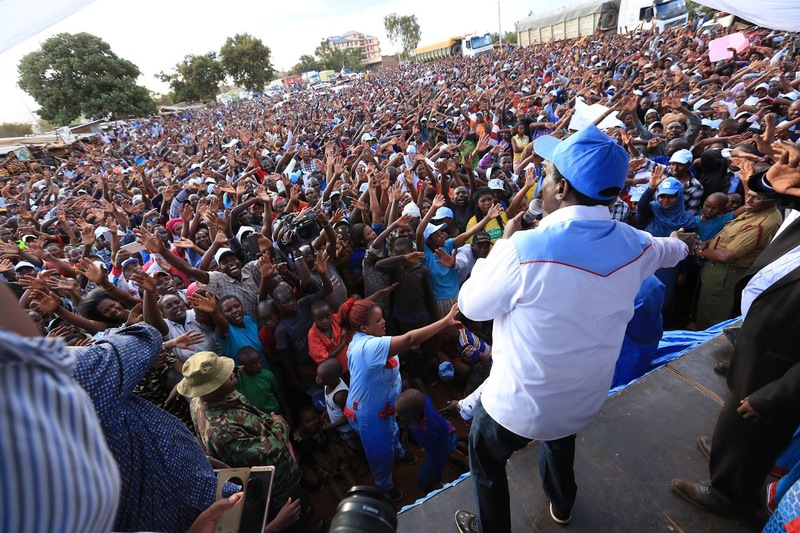 The majority of people in rallies come only to support wiper because it is in the NASA coalition. The wiper leader meeting with Mama Ngina brought up a lot of contentious issues and NASA safety. It is alleged that the Presidents Mother tried to give him gifts if he would be able to support Jubilee. From that meeting, the wiper leader changed and went further to have his own secret meetings with his closest Ukambani allies and later emerged that he has to be the president or else he ran the presidency with wiper party.